Growing our future Forward-Thinking Professionals. Get hands-on experience working with FinTech through working with client-facing projects or academia research. Break through the status quo of conventional hackathons and work to solve pressing FinTech issues. Connect with industry professionals and learn about the effect that FinTech plays on the world and our future. 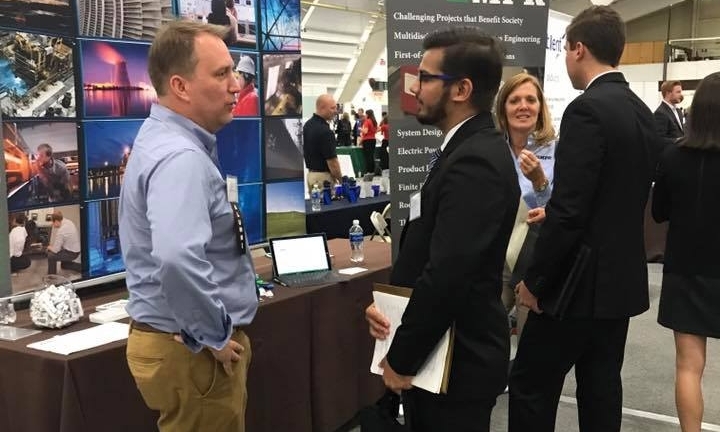 Lehigh FinTech members are able to connect with Lehigh professors and staff who are involved with FinTech research or projects. This takes on the form of credit/noncredit-bearing projects. In addition, Lehigh FinTech members use their knowledge and passion for the subject to seek opportunities where FinTech solutions can empower current or potential clients. For years, hackathons have involved primarily computer science and engineering skills. With the increasing awareness of FinTech, especially in the financial industry, individuals who are both business-minded and tech-savvy are in high demand. FinTech hackathons allow individuals to showcase these exact skills. In the February of 2018, Lehigh FinTech co-sponsored and participated in WUFT Hacks 2018, an annual FinTech hackathon hosted by Wharton Undergraduate FinTech (WUFT). Read more about it here. We expose LFT members to industry professionals who are specifically involved in FinTech. These professionals can elaborate on the impact that emerging FinTech has on lending, investments, and simple day-to-day transactions, and in addition, they can explain what they and their firm do with this technology. These sessions also serve as valuable networking opportunities with firms and LFT sponsors such as EY and TD Bank – which all have a great wealth of knowledge in the realm of FinTech.